I went to see Frozen the other day. I have a few favourite Disney princesses, that's for certain, but I can't say that I wholly enjoy the old Disney princess films. I think it's just nostalgia - I don't like nostalgia. So the new ones appeal to me a little more. I haven't seen many of them. I saw Tangled, and while I enjoyed it I had a few problems with it, though I have to say it wasn't what I expected. I had no idea that the Hero was a thief, not a prince, and I was a little surprised at the...moment of peril, where all seemed lost, because when...something happened (I'm trying not to spoil the film but this is really difficult), the picture became very desaturated and hopeless looking. I thought it was a little heavy. I loved Brave, but I had a problem with Merida. Sure, archery's awesome, I've been in love with it since the Lord of the Rings, and I'm not bad at it myself in fact. But I have a problem with her attitude. You can call her headstrong, or you can call her a foolish teenager. I choose the latter. Nevertheless I find the film amazing - very funny, entertaining, the characters are amazing and the setting and music are just awesome. It's a very good film, very good indeed! And a ginger heroine has been long in the waiting. Oh my gosh, her hair was amazingly animated, I was blown away by it, and the Will o' the Wisps were gorgeous, though they were technically incorrect - typically they lead people to their deaths, not grant wishes. If you ever see a glow in a forest, you run the other flipping way. But Frozen...I really want to tell you all about it, why I loved it so much, what the twist was, but I can't. Just trust me when I say it was amazing. The characters were fantastic, the two girls, but I do feel that Elsa was irresponsible to a degree. She has too much responsibility to just run away. Even if she did have ridiculously fabulous hair and general style. And the best singing voice I think I've ever heard in or out of Disney films. Or films in general. Just incredible. I can't get 'Let It Go' out of my head. As I said the other day, I've developed a habit of jumping into rooms, turning around dramatically and stating that the "cold never bothered me anyway". There is a twist at the end which I really didn't expect. Usually I can see it all coming, but this is the first Disney film that's made me gasp (as an adult) in surprise. I just didn't see it coming until it actually happened. I had my own suspicions as to what was going to happen at the end of the film, and I was only half right. The other half couldn't have been more incorrect. I also love the reindeer, Sven, he was like a dog. OH, and the song at the beginning, when the men are cutting the ice, I LOVE IT. There are only two Disney soundtracks I'd be interested in owning, and that's Brave, and Frozen. Don't mistake it for a Christmas film, either. The only thing that makes it remotely Christmassy is the snow. Olaf appeared a bit dubious to me when I saw him in pictures, he reminded me a little too much of a certain Mr Hanky, but he is actually pretty funny, though admittedly more suited for little kids. It has everything it needs to be a family film: a silly character that appeals to young audiences (Olaf); music and songs you can sing to which appeal to young kids but also perhaps 12 year olds still dreaming of being a princess; a love story for those among us who are more mushy, and again for 12 year old girls...at the end of the day it's aimed at females, but it's a Disney Princess film, what would you expect? But anyway, I do believe that Elsa has become one of my new favourite Disney Princesses, and has also, in fact, very easily shoved Belle off of the top spot, though the little bookworm hasn't slipped far. I love Belle's wit and intelligence, but I love Elsa's voice, beauty and strong heart (to a degree) and attitude. Merida is wonderful because she's also strong hearted (albeit childishly so, but Brave does kind of show you not to behave like that) and a good sister, it's just that she gets on better with her dad than her mum, but her mum was genuinely looking after her best interests, and those of the kingdom, while Merida was just being stubborn. 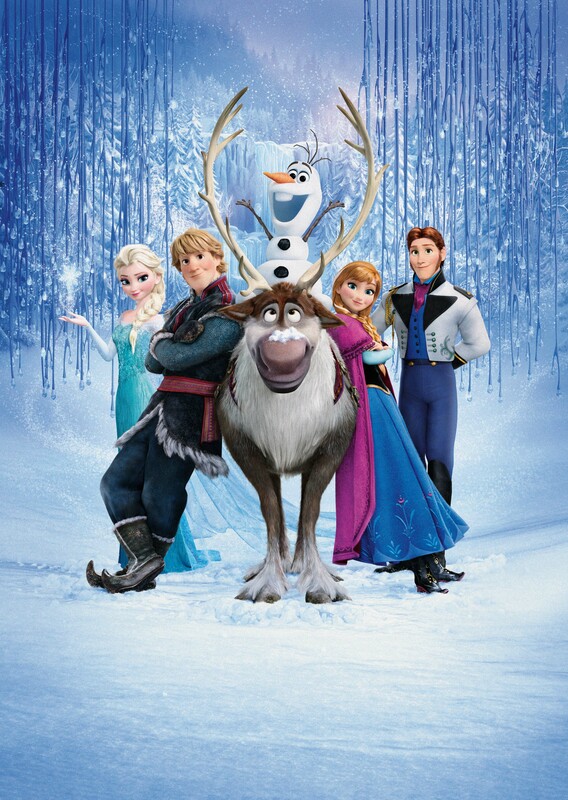 Frozen is an amazing film, it's funny, it's sad (it'll make you cry from happiness and sadness), the characters are amazing, there's magic (with "beauty and danger"), and its design and music is wonderful. There's one song I don't like, but at the end of the film, you can think back to it and realise that it wasn't as cheesy as it first seemed because you know more after that. If you're debating it, then stop. Just go and see it.